/ #DP16 product recap: All the latest additions to The Business Cloud. The Business Cloud Is Here! It all starts with a business question. And when you need to find an answer, it’s only natural to solicit expert advice. That’s why we created the Domo Appstore—the premier destination for decision-makers to find answers to critical business questions with best-practice apps and custom visualizations. 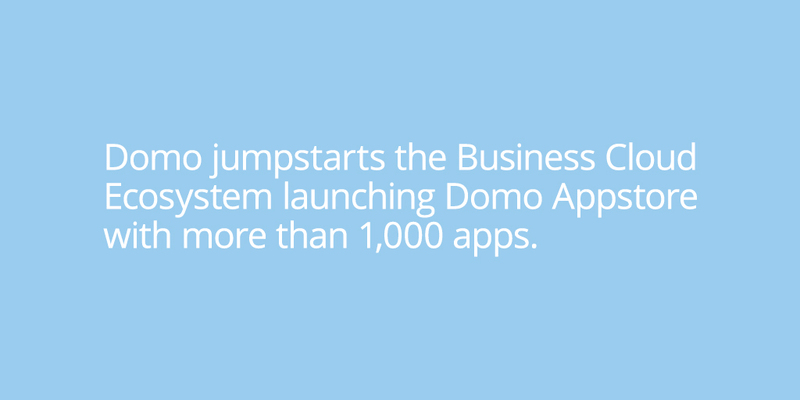 Created by an open ecosystem of app publishers, the Domo Appstore includes over 1,000 custom apps across dozens of industries, departments, roles, and business activities—with more being developed every day. Domo’s developer portal gives customers and partners access to all the tools and documentation needed to build, manage, and connect to Domo, including powerful app development tools, APIs that help you access and administer your data and people, and connectors to bring all the data you need into Domo. 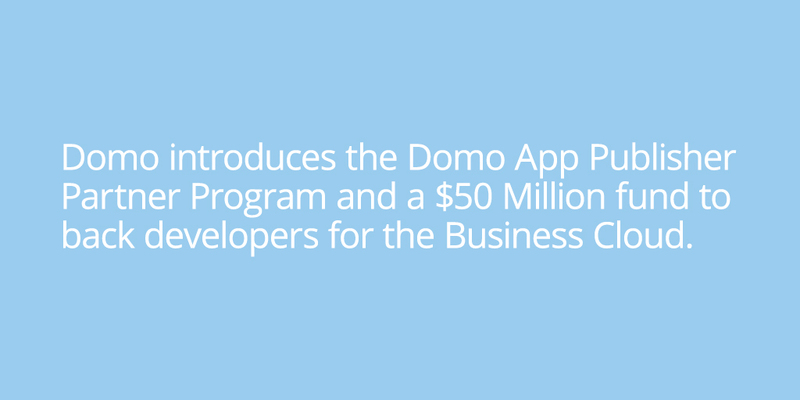 The Domo App Publisher Partner Program was launched to encourage more companies to build apps for Domo’s Business Cloud. The program includes tools, best practices, and support for developers building apps, plus a $50 million investment fund to back the effort. Domo Mobile makes it possible to stay in front of your business with unprecedented social intelligence, and to capitalize on the power of Domo’s Business Cloud like never before. Track important trends from a customizable home screen, find insights with powerful data exploration capabilities, experience a new, modern interface, and more. The latest app for iOS is available now, and keep an eye out for our new Android app slated for release sometime in April. Domo’s intuitive collaboration platform has been redesigned from the ground up to bring everyone in your organization into the right conversations to improve productivity and deliver faster time to insights. And because conversations are always tied directly to business data, Buzz helps your people (or you) make decisions that move the needle. Sign up for early access now. 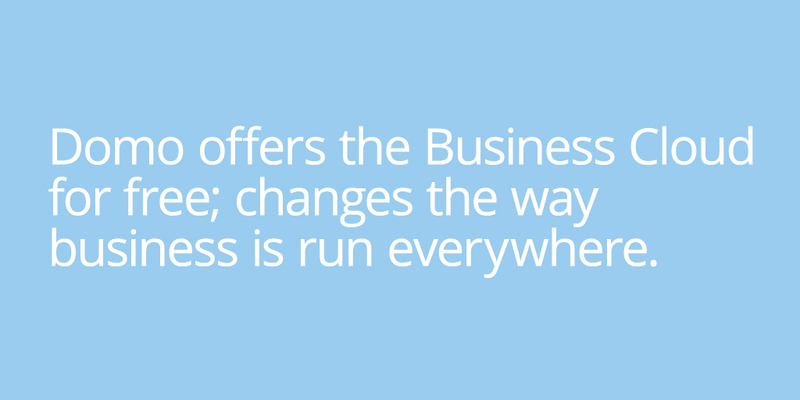 Now’s your chance to test-drive Domo’s Business Cloud for yourself. 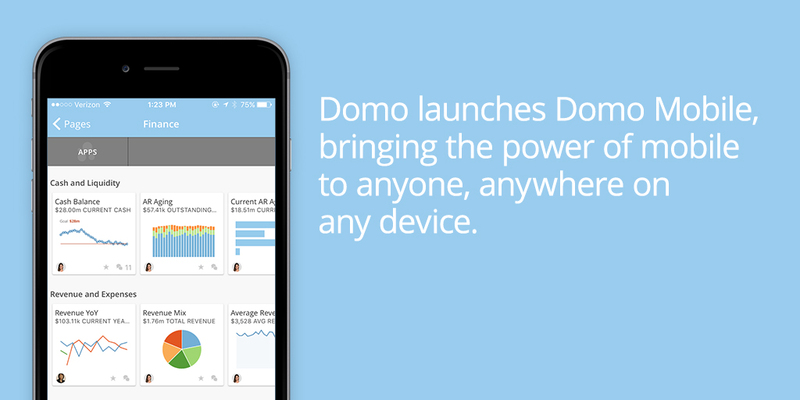 In Free Domo, users can collaborate in Buzz, access the Domo Appstore, power-up business apps, and share those insights with everyone. Users can also upgrade to experience the full power of the Business Cloud at any time with a 60-day trial. Join the waitlist now. At Domo, APIs are kind of a big deal. 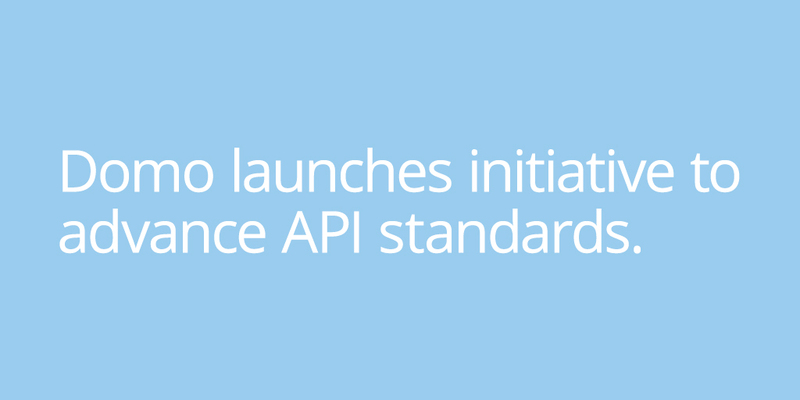 That’s why we kicked off StandardsforAPIs.org to bring together key stakeholders in the data economy to set shared standards and promote best practices for API development. Interested in joining the conversation? We’ll be hosting forums to solicit feedback from parties interested in joining or contributing input to the standards for APIs initiative. Learn more and sign up for an upcoming tour here. Phew… that’s a lot of news. If you’re still interested in learning more, check out our learn center to read up on how Domo is helping users like you make faster, better-informed decisions every day.